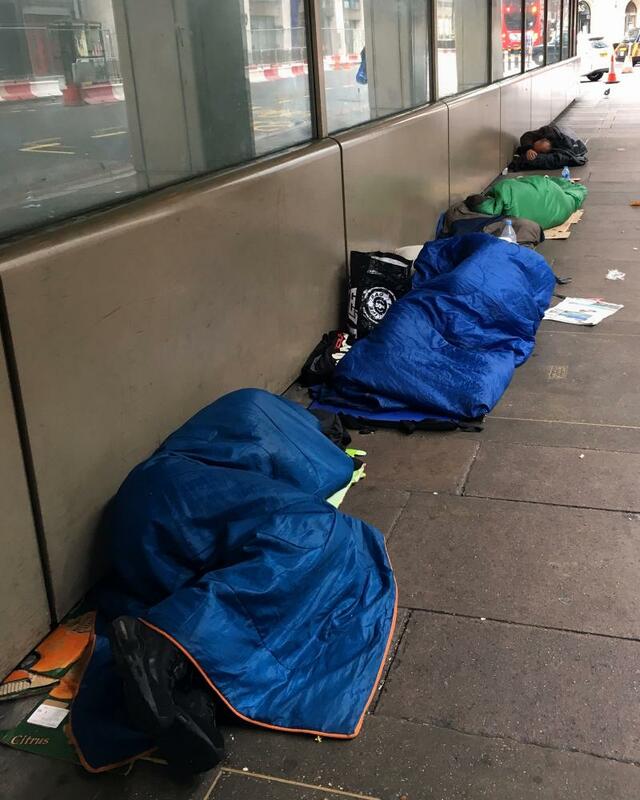 The number of people forced into homelessness is expected to more than double to half a million by 2041 unless the government takes immediate action, a homelessness charity has warned. Analysis by Heriot-Watt University for Crisis has found that the number of homeless people in Britain will reach 575,000, up from 236,000 in 2016. The number of people sleeping rough will more than quadruple from 9,100 in 2016 to 40,100 over the same period, the research found. The forecast, released to mark the 50th anniversary of Crisis, comes as the number of homeless households has jumped by a third in the past five years. The majority of those affected are “sofa surfers”, with 68,300 people sleeping on other people’s couches. The biggest rise will be for those placed by a council in unsuitable accommodation, such as bed and breakfasts, with the total expected to rise from 19,300 to 117,500. Crisis has urged the government to build more affordable housing and launch a concerted effort to tackle rough sleeping. The report found that the problems will be more acute in England compared with Scotland, with London particularly affected. The capital is forecast to account for more than half of England’s homeless population by 2041. Rosena Allin-Khan, Labour MP for Tooting, said: “The mayor of London is tackling the housing crisis, securing record investment. We must now ensure councils across London are given the powers to get building – and are held to account if they fail to do so. The Crisis report said that a 60% increase in new housing could reduce levels of homelessness by 19% by 2036, while increased prevention work could reduce levels by 34% in the same period. John Healey, the shadow housing secretary, said homelessness was a national scandal. “This is a direct result of decisions made by Conservative ministers: a steep drop in investment for affordable homes, crude cuts to housing benefit, reduced funding for homelessness services and a refusal to help private renters,” he said. The Department for Communities and Local Government (DCLG) said: “This government is determined to help the most vulnerable in society and we’re working to make sure people always have a roof over their head. We know this is an issue government can’t solve alone and so welcome Crisis’s support for our commitment to tackle homelessness and rough sleeping. The act is due to come into effect next year. It includes funding of £61m for 2017-18 and 2018-19. The DCLG said it is considering further funding for high-pressure areas.